OMAHA — November 26, 2016 — After spending much of his early life as an athlete, American Midwest Ballet’s Ryan Christopher shifted gears to focus on dance — specifically, classical ballet. Whether partnering a ballerina or taking the mound to throw out the ceremonial first pitch at a minor league baseball game, he gives it his all. Ryan took some time between shows to tell us a little bit about his life and what inspires him. When did you realize dance was what you wanted to pursue? When I took my first ballet class ever, I realized the athleticism and artistry required to be a dancer. After watching Rudolf Nureyev on an old vhs tape, I knew right then I wanted to become a professional ballet dancer. You started training a bit later than most ballet dancers. How did you happen upon it? I learned the basics at Red Rocks Community College in 2006 with some friends. My mother started to teach me dance technique soon after. I later received a full scholarship to International Youth Ballet School in Littleton, Colorado and studied there for two-and-a-half seasons. I began my professional career in 2009 as a soloist with Ballet Ariel in Denver. How have you grown through the years? I have seen myself do things I thought I never could. It seems unreal given the fact I had major injuries which required surgery in the past. I overcame those injuries to become even stronger than before. I am always growing as an artist and I hope to have many more good years to come. I always want more, both in dance and in life. What are some of your favorite roles? Do you have a dream role? Some of my favorites would have to be the Jester in Cinderella, Puck in A Midsummer Night’s Dream and the Prince from The Nutcracker. My dream role would be to dance the lead in Spartacus. 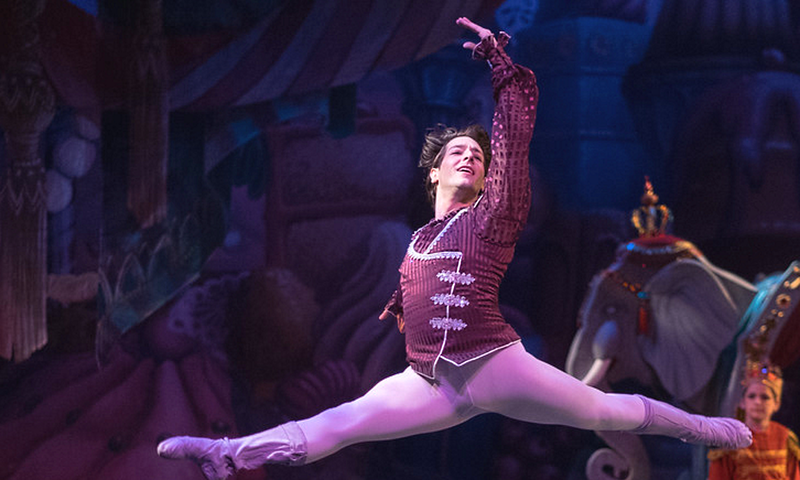 What is one thing you do really well in ballet? Turning is one of my strong suits. Are you creative outside of ballet as well? I enjoy crafting props and costume accessories, as well as painting and illustrating pictures. My influences are Rudolf Nureyev, Fernando Bujones, Carlos Acosta, and many others whom I have watched and studied repeatedly in order to help myself improve. Do you have a memorable dance story in your past? I do! 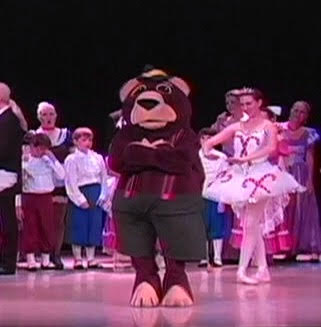 In my very first production of The Nutcracker, I was a dancing teddy bear in the party scene. I wore a full body costume with a very large head. During one of our live performances, the inner workings of the head fell apart. Throughout my dance, I kept praying it wouldn’t fly off! The audience had some laughs though and thought it was part of the show. Do you have any special performance day routines you follow? No real rituals, but having a positive attitude and a strong work ethic where I always give 100% is my routine! Next PostNext Jane's Muttcracker debut: "It's amazing what some tender loving care will do"